An extremely troubling and controversial line of thinking has arose in the physics community. It’s the notion that we are getting closer the absolute limit of what we can comprehend about the world around us through science. A particle physicist, Harry Cliff, CERN said during a recent TED talk in Geneva, Switzerland “The next few years may tell us whether we’ll be able to continue to increase our understanding of nature or whether maybe, for the first time in the history of science, we could be facing questions that we cannot answer” Just as frightening is the reason for this imminent limit, which according to Cliff is: "Because the laws of physics forbid it." First Dangerous Number “The strength of the Higgs field”: According to Cliff,the first dangerous number is a value that signifies the power of what physicists call the Higgs field, an unseen energy field not completely unlike other magnetic fields that permeates the cosmos. As particles plunge through the Higgs field, they get mass to ultimately become the protons, neutrons, or covering all of the atoms that make everything around us. Without Higgs field it, we wouldn’t be here. There is no doubt about the existence of Higgs field. And there’s something about the Higgs field that remains unresolvable and continue to worry physicists like Cliff. According to general relativity and the theory of quantum, the Higgs field should be carrying out one of two tasks, says Cliff. Either it should be turned off or turned on. If turned off, it should have a strength value of zero and automatically giving no mass to particles. If turned on, as the theory goes, this 'on value' is "completely enormous. But what physicists observe back in 2012 does not match with neither of those two scenarios. As Cliff says "In reality, the Higgs field is just slightly on. It’s not zero, but it’s ten thousand trillion times weaker than its fully on value - a bit like a light switch that got stuck just before the 'off' position. And this value is crucial. If it were a tiny bit different, then there would be no physical structure in the Universe." There is still no explanation about why the strength of the Higgs field is so extremely weak, Physicists hope to find some positive results from newly-upgraded particle accelerator at CERN. As for now, they’re still hunting. Dark energy, a repulsive force that’s accountable for the accelerating growth of our Universe, was first measured in 1998. 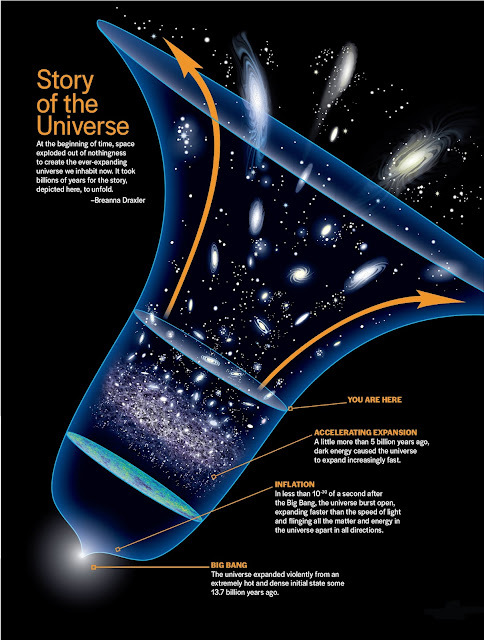 Nobody knows what dark energy is, but several physicist including Cliff think that it’s the energy of empty space itself or the energy of the vacuum itself. Cliff said "Dark energy should be 10120 times stronger than the value we observe from astronomy. This is a number so mind-boggling huge that it’s impossible to get your head around … this number is bigger than any number in astronomy - it’s a thousand trillion trillion trillion times bigger than the number of atoms in the Universe. That’s a pretty bad prediction." On the good side, we’re quite lucky that dark energy is lesser than theorists predict. If it followed our theoretical concepts, then the repulsive force of dark energy would be so enormous that it would literally rip our Universe apart. The essential forces that keep atoms together would be completely ineffective against it and galaxies, stars, planets, and life as we know it would not exist. Physicists can’t use the present theories of the Universe to pbtain a better measurement of dark energy that settles with current observations. Even better than improving our concepts would be to find a way that we can understand why the strength of dark energy and the Higgs field is what it is.